The Whisky Vault considers the glistening brown elixir a work of art as much as a tasty beverage. 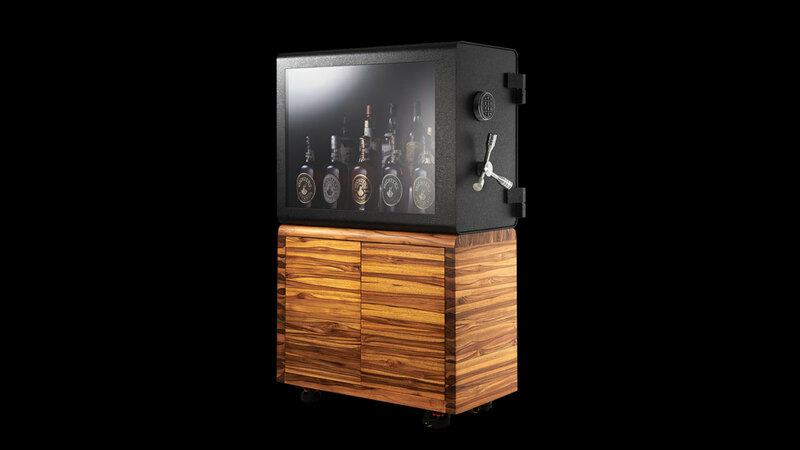 So, yes, true to its name, the Vault provides an ultra-secure place to store your best bottles. Its machined aluminum spindle wheel handle opens a door locked with bolts controlled by a UL-certified LA GARD electronic lock system. The body of the safe is steel plate construction, with the exception of the panoramic display window, which is made of bulletproof glass. Guess it's time to add a +1 to my list of the most unique bulletproof clothing and gear. 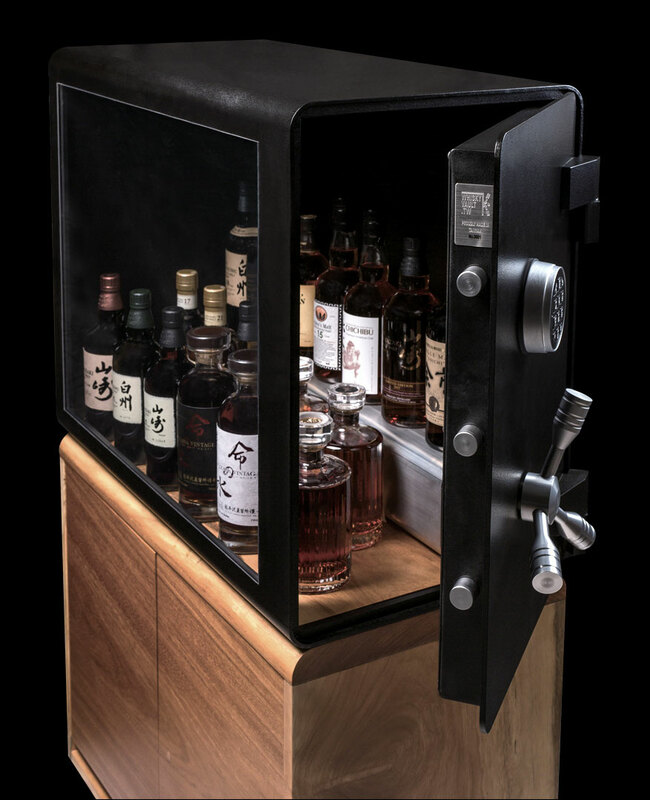 But beyond its hefty specs and functionality, the Whisky Vault is a specimen of beauty, designed to match the handsome bottles and luscious juice it holds. 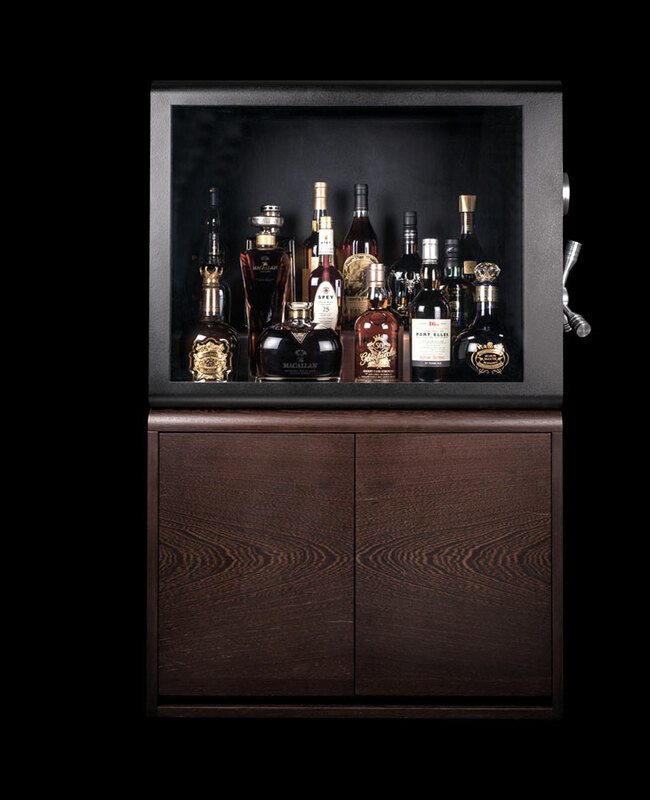 Beneath the safe and display cabinet lies another cabinet, made of marbled exotic wood, and fitted with 800KG-capacity leveling casters. 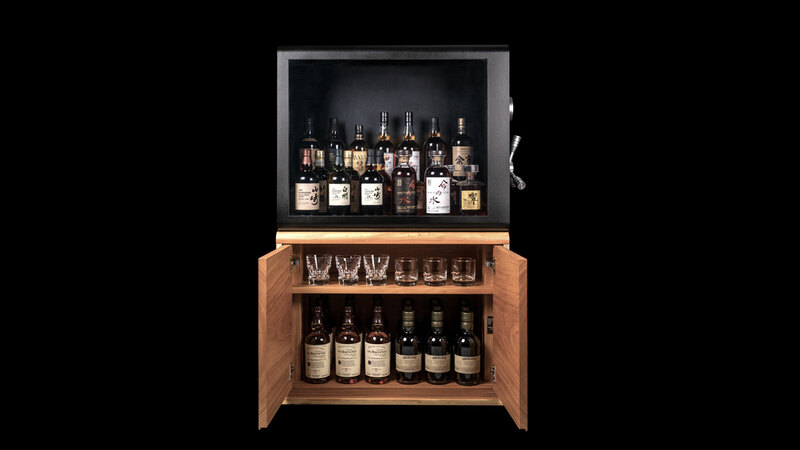 Inside are 2 shelves for your whiskey tumblers and serving tools, plus the cheap bottles of Jack and Jim Beam you save to serve your in-laws.